WASHINGTON, D.C.-- Institute for Organization Management, the professional development program of the U.S. Chamber of Commerce Foundation, has appointed Angela Whitcomb, IOM, President of the Shakopee Chamber & Visitors Bureau, to chair the Midwest Board of Regents. As chair of the board, Whitcomb will help implement the policies created by the Institute’s National Board of Trustees. Starting in 2015, Whitcomb has held numerous leadership positions within the Institute program. Whitcomb graduated from Midwest Institute at the University of Wisconsin in Madison in 2014 and has served on the Midwest Institute Board of Regents since 2015. For more information about the Institute program, visit institute.uschamber.com or @IOMeducates. The Shakopee Chamber of Commerce expresses disappointment and concern at the lost opportunity to bring the CPM Projects to Shakopee. It appears that internal discord has contributed to driving away another business from our city, and it threatens the prosperity of all of our businesses. This community has an incredible asset in our city staff. They have been successful in bringing innovative, forward-thinking and future-strengthening ideas to the council. The personally biased and uninformed votes being cast by members of the council are irresponsible and embarrassing. This sabotaging behavior needs to stop. The votes they cast today will impact our community well beyond their term. The Shakopee Chamber envisions expanding business and housing options to meet the changing needs of our community. Businesses need employees able to live here and growing segments of our populations are asking for housing options that meet their changing lifestyle needs. Through a recent survey, Shakopee citizens are asking for more retail, housing and entertainment options. The Chamber agrees with all three needs and saw elements of these needs being met in the recent downtown re-development projects. We also see these needs being addressed in projects still being workshopped at council. There is still time. The business community is watching carefully. As the Chamber of Commerce, we hear repeatedly from Shakopee business leaders that the cage match gripping city council, this recent inaction in downtown redevelopment, and hostility towards innovative housing concepts leave them wishing they could relocate. 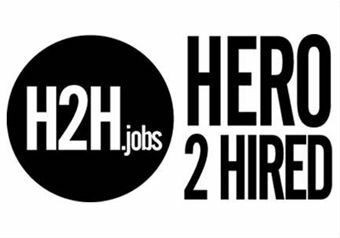 They want to be in forward thinking communities where they can find employees, and those employees can have a place to live. Our community is at a crossroads. Will we continue pressing forward into the future? Or will we isolate ourselves from the rest of the region and retreat into a fantasy vision of the past? The Shakopee Chamber of Commerce calls on the City Council to put aside personal agendas and vendettas, get informed and focus on creating a community where people want to live, work, and play. 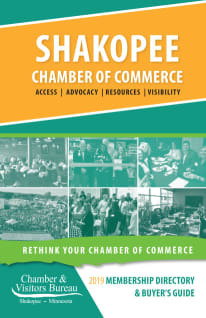 The Shakopee Chamber of Commerce has been the voice of the business community since its founding in 1955. We represent the Shakopee business community through advocacy, membership programming and economic development. The Chamber is a voluntary, not-for-profit business organization dedicated to improving the economic environment of the community. As an active, problem solving organization, the Shakopee Chamber of Commerce focuses on economic development, workforce development, legislative advocacy and membership services. The strength of the Chamber lies in its membership; small businesses, large corporations, home-based businesses, and professional men and women, working together to enhance the quality of life in Shakopee.